I love Thanksgiving. It’s a low-stress holiday that revolves around family and food. What’s not to love?! 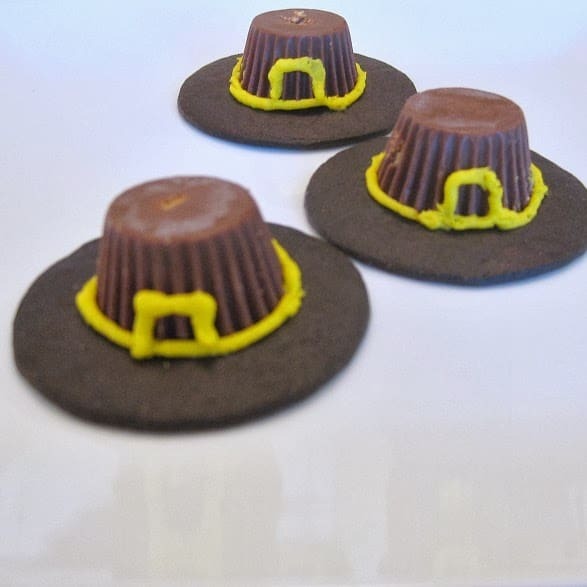 In addition to all the regular Thanksgiving dishes, my kids really enjoy these fun and easy Pilgrim’s Hat and Turkey cookies as a treat on Thanksgiving. 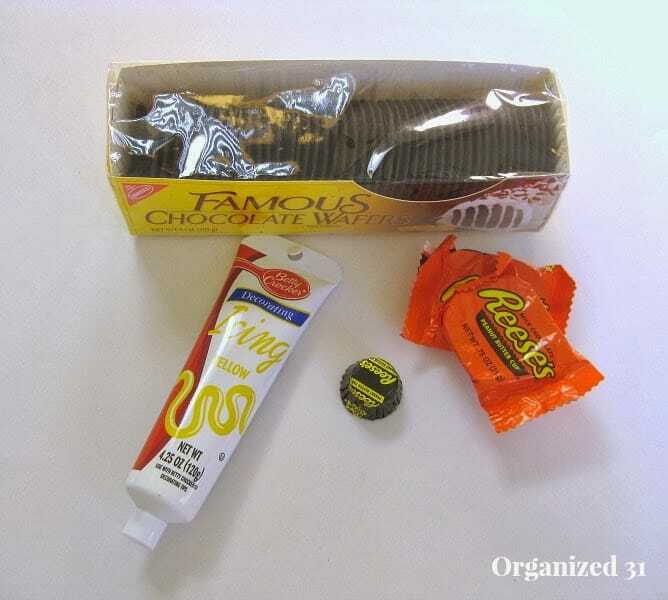 I usually raid the Halloween candy (shhhh, don’t tell on me) and collect the Reese’s peanut butter cups (the smaller sized ones work better) and the Rolos. 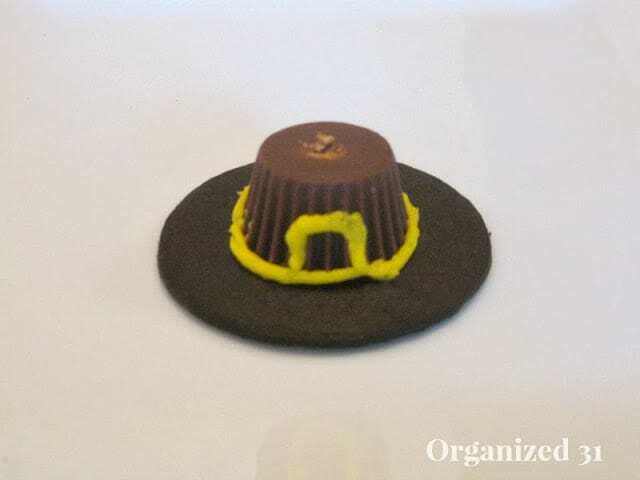 You’ll also need chocolate wafer cookies to make the brim of the hat and yellow frosting for the band and buckle. 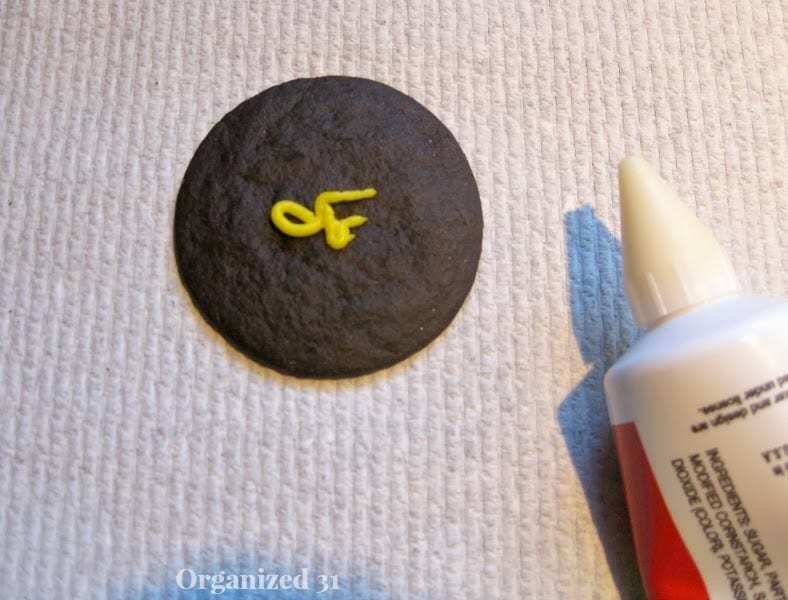 Put a small dab of frosting in the middle of the cookie to hold the candy in place. Place the small Reese’s cup in the middle of the cookie and accent with a band of yellow frosting and a small square “buckle”. 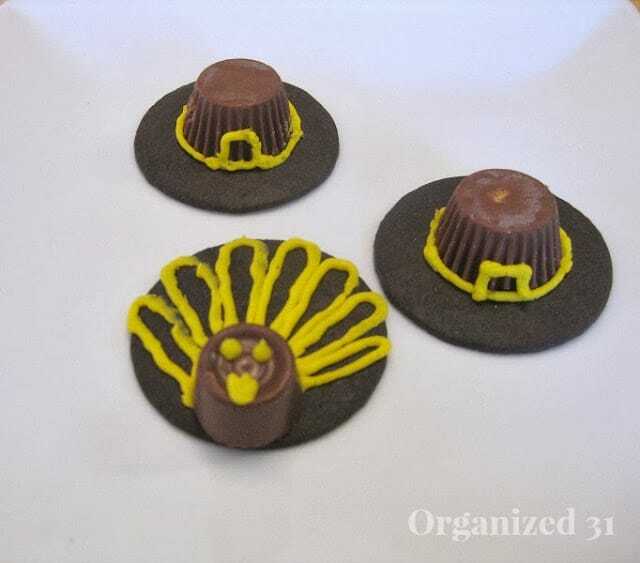 You can add a Rolo to the edge of a cookie and use the frosting to make a turkey cookie. They’re easy to make and a fun activity for the kids while you’re waiting for the turkey to cook. Have fun making your own Pilgrim Hats and Turkey cookies this Thanksgiving. These are ADORABLE! I think even I could manage the hats, but you lost me at the turkey. I’m afraid my fine motor skills would fail me there. This will be a fun, easy treat to make with/for the kids. Thanks for sharing! These are the cutest cookies! I don’t have any leftover candy from Halloween, but I think I may have to go out and buy some. I know these would go over big in my house! Great idea! Next week after the insanity of bday party planning for my son, I’ll focus on Thxgiving….will def be out buying these ingred! Great idea! Sooo cute!! And sooo delicious!! Happy Turkey Day to all!! These are sooooooooooo cute Susan !! Such a cute idea! Love it for a thanksgiving treat. Thanks for sharing!